Dr. B Dental Solutions is a new company created by Lorin Berland, DDS, one of the most published authors on clinical dentistry and dental education with over 100 articles, best-selling books and instructional videos including the Lorin Library Smile Guide. Dr. Berland was recognized by the American Academy of Cosmetic Dentistry for Outstanding Contributions to the Arts & Science of Cosmetic Dentistry, and has been featured in major national print and TV publications for his work. 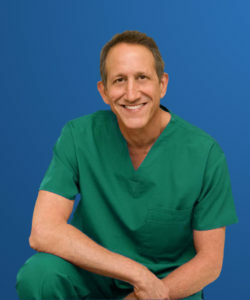 Dr. B began his career as a denture technician, and after more than 35 years of listening to patients and running a multi-specialty practice, he has released a full line of products specifically designed to treat the real issues facing people with oral appliances, like Oral Infections and Dry Mouth, which are not addressed by major brands. Dr. Lorin Berland is consistently named as a Key Opinion Leader in dentistry for his many books, lectures, videos and clinical articles. His pioneering work in dentistry has been recognized by dental professionals around the world.